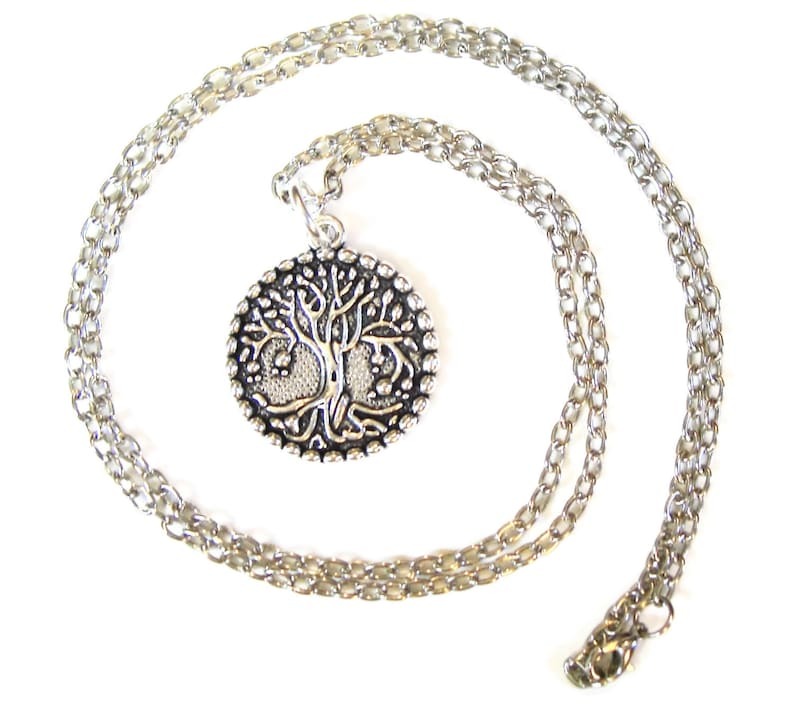 TREE OF LIFE medallion necklace, Approx. 30 inch long chain, Beautiful Silver Plated Tree of Life medallion, Perfect Sweater necklace! MAY YOU ALWAYS Have a Shell in Your Pocket necklace, Silver Plated Starfish charm, crystal dangle on a 24 inch silver plated chain.